Peter has been practicing in Monaco since 1988. He qualified with Ernst and Whinney in London and is now a Fellow of the Institute of Chartered Accountants of England & Wales. He has been a member of STEP since 1998, is a member of the Institute of Directors, the ITPA (International Tax Planning Association), member of AMCO (Association Monégasque des Compliance Officers), and Secretary of the Monaco Association of Trust and Corporate Service Providers - AMPA (Association Monégasque des Professionnels en Administration de Structures Etrangères). Peter acts for private clients in a wide range of areas, including strategic business development, international structuring, tax and estate planning. With over twelve year’s local experience, Louise worked in the legal and tax department of a Monaco based Corporate Service Provider for several years before joining Rosemont Consulting SARL as Legal Assistant at its inception. Louise assists clients with various administrative and legal issues such as staff management, visas and residence permit applications and deals with the preparation and filing of documents for setting up and running French and Monegasque companies. Louise is fluent in English, French and German. Damien is Doctor in Law from the French University of Paris Pantheon Assas. He passed the Paris Bar Exam and is a qualified French Notary. Damien is a full member of STEP. He has 20 years’ experience in international estate planning, real estate, conflict resolution and tax litigation, family business global assistance, corporate structuring and private equity solutions for private clients. Before joining Rosemont Consulting, Damien practiced as a lawyer in Paris in an international law firm, then as in-house lawyer in Paris Notary offices, then in an MFO type company acting as a boutique capital investment firm that offered advisory, private equity, merger and acquisition, corporate finance and business consulting services. Damien was a lecturer at the University of Paris Pantheon Assas and the University of Paris Sceaux. He participated in various symposiums in France, Switzerland and Italy; published books in France and Italy, articles and interviews in France on subjects related to Cultural Heritage, tax optimization, estate and corporate structuring, international estate planning, and leisure investment. Damien is now Legal Manager at Rosemont Consulting SARL. Romain holds two master II degrees: one in business law, taxation and one in business management. He is has a Magistere law and DJCE degree. Based in Monaco since 2008, he has experience in real estate structuring for HNWI on the French Riviera and built up a “Real Estate Service” in his previous roles. He has strong knowledge and experience of the local legal, compliance, banking and financial environment and can assist international clients with the practical aspects encountered in their day to day business. Thanks to his fiduciary background, he can assist HNWI clients with the corporate management of their personal affairs and structure them locally and internationally. Romain has also significant experience in international corporate structuring in oil and gas activities, mainly in West Africa and in Kazakhstan, and has established useful local relationships. Romain is a member of STEP since 2011, as an estate planner and tax advisor. Jerome heads up the tax department in Monaco and is also the groupwide coordinator of the Rosemont International tax practice. He started as a French attorney-at-law for top-ranked Anglo-Saxon law firms (Dentons, Eversheds). Before joining us, he was a wealth and tax planning advisor in Monaco for a private bank (Edmond de Rothschild) and previously for an international law office (Gordon S. Blair). Through 15 years PQE, he has developed a truly international and multidisciplinary approach in both corporate services and private clients. Jerome has a strong expertise in M&A/private equity transactions and intra-group reorganizations (automotive, oil & gas, transport, Banking). He has also assisted real estate investment funds operating in the hospitality industry across Europe as well as private funds with the tax structuring of investments and joint-ventures in Africa and Eastern Europe (mining, infrastructure, telecom). Jerome also deals with a HNWI clientele and family-owned businesses having operations or interests in multiple jurisdictions. He has a know-how in bespoke estate and tax planning strategies, including the setting-up of sophisticated private structures (family holding, trusts, foundations) and the structuring and financing of luxury leisure property acquisitions in France. He has specific skills in personal relocation or citizenship-by-investment programs. Jerome passed the Paris Bar exam in 2005. He graduated from the University of Paris II Pantheon-Assas in Paris in International Taxation (Master II - In association with HEC Business School) and Business Law & Corporate Finance (Master II). He also graduated from the Business Law Institute (University of Paris II). 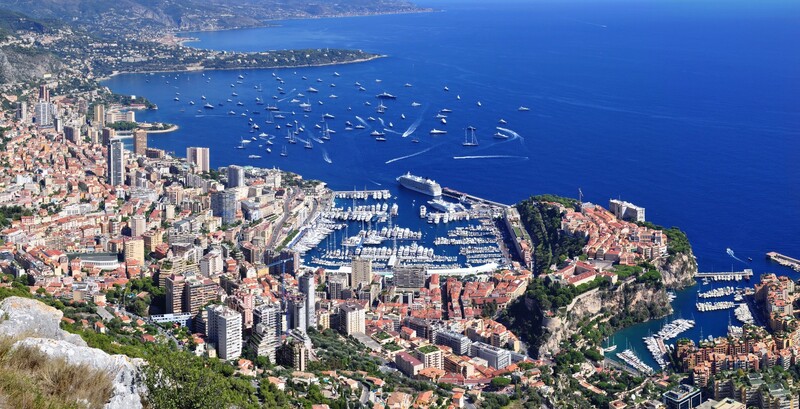 In Monaco, he passed the professional certification of the Monaco Association for Financial Activities (AMAF). He authored several articles on family-owned businesses and real estate investments and has been a speaker at various conferences and forums in Monaco, Switzerland and Luxembourg. Nicolas holds two Master II degrees, one in Tax law and one in Business law. In his academic background, he studied one year at Lund University School of Economics and Management in Sweden. He started his career in France as a Tax and Legal advisor at PwC for 5 years and pursued his work experience at Monaco in a local multi-family office providing UHNWI and Families with tailor made solutions to their legal, tax, structuring and administrative issues. Nicolas is specialized in French and International Tax law. He has an extensive experience in personal taxation issues. His experience covers corporate taxation with respect to real estate & foreign investors. He notably advises private clients in all personal taxation, real estate purchase structuring and tax reassessment assistance. He joined Rosemont Consulting to practice in the same field of activity as a Tax advisor. Ivan holds two French Master II degrees, one in International law (University of Nice) and one in European law (University of Strasbourg). In addition, he has a Master in Russian national law (University of Irkutsk). He started his career in France as a lawyer in the European Court of Human Rights and he is pursuing his work experience at Rosemont Consulting as a tax advisor. Ivan is specialized in French and International Tax law. He has an extensive experience in personal taxation issue for foreign clients investing in France and Monaco. Ivan is fluent in French, Russian and English. Jérémy is specialised in international tax and estate planning, real estate projects, and international private law. Prior to joining Rosemont, Jeremy worked for 10 years as a Notary in France and pursued his career in Monaco with a local law firm. He particularly advises private clients on relocation to Monaco, real estate purchase structuring, drafts Wills and provides advice and assistance in the settlement of international successions. Furthermore, he has an extensive experience in matters related to Sport, handling the private interests of various athletes. Adrien holds a Masters degree in International Wealth Management (I.A.E. of Nice). He first joined Rosemont Consulting for his Master’s internship and then became integrated as a full-time employee of the company. Adrien is specialized in accounting and company administration. He is able to assist clients through various administrative issues and with corporate management. Adrien is fluent in French and English.